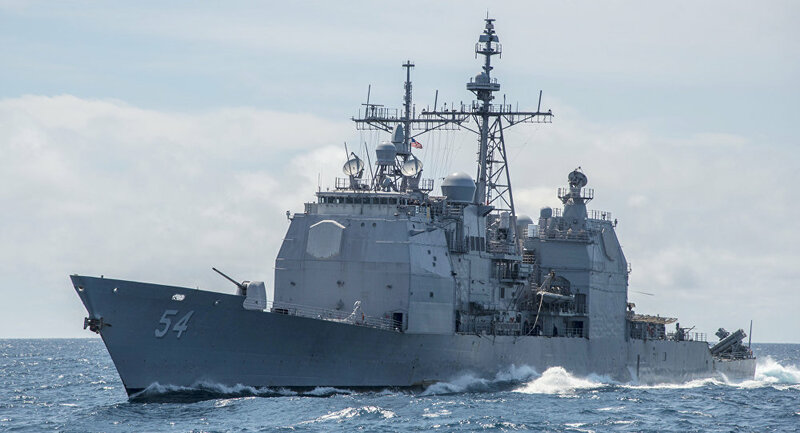 The US has sent the naval destroyer USS Curtis Wilbur and the Coast Guard cutter Bertholf through the Taiwan Strait, according to the CNN. The US Navy's Seventh fleet said in a statement that the ships "conducted a routine Taiwan Strait transit [on] March 24-25 (local time) in accordance with international law." "The ships' transit through the Taiwan Strait demonstrates the US commitment to a free and open Indo-Pacific," Cdr. Clay Doss, a spokesman for the Navy's Seventh Fleet said, as quoted by the CNN. Beijing has made a representation to the United States as the latter sailed two naval ships through the Taiwan Strait, Chinese Foreign Ministry spokesman Geng Shuang said on Monday. "From beginning to end, the Chinese side was closely following the passage of US naval ships through the Taiwan Strait, China has already made a representation to the United States in this regard," Geng said. According to the diplomat, Beijing calls on the United States to "honor the ‘One China’ policy and three joint Chinese-US communiques [on the issue] and be prudent about the Taiwan issue in order to avoid deterioration of Beijing-Washington relations and damage to peace and stability in the Taiwan Strait." The strait divides Taiwan from mainland China. Beijing considers Taiwan to be part of a united China. Relations between the two were cut in 1949 after the remnants of Chiang Kai-shek's forces fled to the island following their defeat on the mainland. Relations were partially restored in the 1980s.